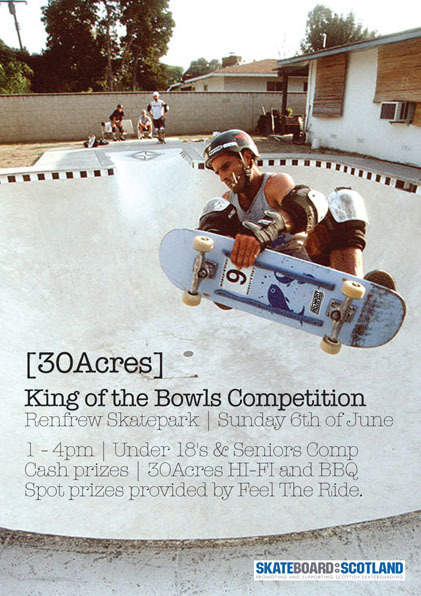 The guys at 30 acres in Renfrew have organised a skate comp and invited Skateboard Scotland to come along and help MC and judge. The event is going to be held on the same day as the Renfrew Gala day on the 6th of June. So bring along the whole family for a schralp and fun day out at the gala. Poster to follow with more details shortly.